Thank you for your interest in pursuing the residency program at Jersey Shore University Medical Center. Our ACGME-accredited programs only accept applications through ERAS. The Pharmacy ASHP-accredited program accepts applications through PhORCAS. Our General Practice Residency Program in Dentistry accepts applications through the PASS program and participates in the National Matching Program. Competitive applicants will be invited for an interview that also provides an opportunity to meet our faculty and residents. All applicants are considered regardless of age, gender, race, religion, country of origin, marital status, parental status, disability or any other factor. Welcome to our website! I hope that this information peaks your interest in our hospitals and training programs. Jersey Shore University Medical Center is one of three academic medical centers within Hackensack Meridian Health, new jersey’s largest and most comprehensive health network. We are also a major affiliate of the Hackensack Meridian School of Medicine at Seton Hall University, which matriculated its first class in 2018. 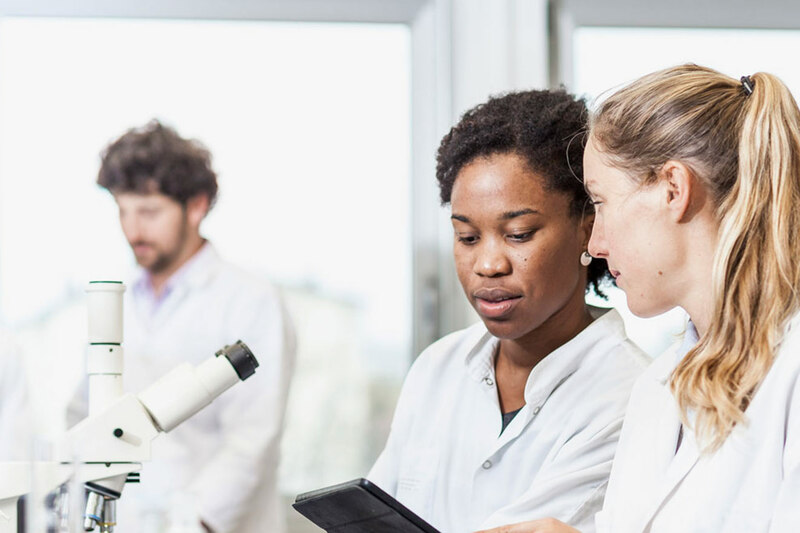 Medical education, both on the undergraduate and graduate level, post-graduate levels is one of our highest priorities, and we strive to meet all of these requirements through innovation. We are a University level affiliate of Rutgers Robert Wood Johnson Medical School, and will soon be a major affiliate of the Seton Hall University School of Medicine, scheduled to recruit its first class in 2018. We are also affiliated with the Physician Assistant Program at Monmouth University, and take pride in emphasizing interdisciplinary education at the undergraduate and graduate levels. Hackensack Meridian Health has as one its core missions to be a High Reliability Organization (HRO), defined as providing consistent excellence in quality and safety for every patient, every time. HRO is a journey, not a destination. As such, our residents are key to achieving success. All residents at Jersey Shore University Medical Center receive training in Performance Improvement and Quality Improvement; all will spend time on teams working on a QI/PI project, or developing one of their own. This past year Suhagi Kadakia, MD, PGY-III, Pediatrics, was selected by the American Academy of Pediatrics (AAP) Section on Breastfeeding to receive the 2016 Best Abstract Award in Quality Improvement. We sponsored her to present her paper at the AAP National Conference in San Francisco in October. Our faculty – a mix of employed full-time clinicians as well as volunteer medical and dental staff members – is recognized for their clinical skills and individualized attention to our learners. Many are recognized as “Teachers of the Year” at Rutgers RWJMS, and we have three Rutgers Master Educators based at Jersey Shore, more than at any other non-School site in the Rutgers system. Side by side with our faculty and through hands-on clinical experiences, simulation exercises, didactic sessions, workshops and online modules, our residents become skilled in caring for patients with a broad spectrum of disorders in inpatient and outpatient settings. While training at Jersey Shore we ask residents to provide evidenced-based care decisions. To support them in achieving this goal, Meridian has several tools to assist in this effort. We have an Institute for Evidenced-Based Care, which regularly updates care management guidelines and makes them available when residents’ log in to the computer system. We also invest in UpToDate, the leading point of care database. UptoDate is free of charge to residents, and is available on all devices. As part of Hackensack Meridian Health’s ongoing mission to advance medicine, the new HOPE Tower at Jersey Shore University Medical Center features outpatient services with leading experts in more than 15 specialties, an academic and research center to teach and pioneer lifesaving medical breakthroughs and a state-of-the-art cancer center with sophisticated technology. It’s just one more way we are well-orchestrating the best patient experience. To view the virtual tour, click here. We are also investing in the EPIC electronic medical record, which will be available in the hospitals, physician offices and Family Health Center (resident clinic) in 2017. Finally, in support of research, we have over 30 dedicated research staff, an on-site Clinical Research Center with a tissue biorepository, and three full-time biostatisticians available for residents’ research projects. Our residents are expected to engage in a mentored research project during their training and projects and posters are presented at our annual Research Day program every June. Our programs meet or exceed state and national averages for Board pass rates, and have a remarkable track record for success in fellowship matches. We also have an increasing number of employment opportunities in primary care and specialty areas given the growth of our health system. Jersey Shore University Medical Center sponsors ACGME accredited residency training in Pediatrics, Obstetrics & Gynecology, General Surgery, Podiatry, Psychiatry, and Internal Medicine. We offer a Pediatric Hospital Medicine Fellowship through the Department of Pediatrics, a Cardiovascular Disease Fellowship through the Department of Medicine, and a Nephrology and Hypertension Fellowship through the Department of Medicine. We also sponsor graduate training programs in General Dentistry, Clinical Pharmacy, and Podiatry. In total, there are over 100 residents and three fellows in our programs, not including trainees on rotation from RWJMS. Jersey Shore University Medical Center is a member of the Alliance for Independent Academic Medical Centers (AIAMC). For the last four years, we have participated in initiatives focused on resident wellness, performance improvement, and cultural diversity. Residents participate as team members with hospital leadership on these initiatives. At Jersey Shore, we never stop moving forward. Later this fall we hope to announce approval of two independent fellowships in Internal Medicine, and our own General Surgery Residency Program. This is an exciting time to be starting residency training. I hope that you will consider joining us in our educational and patient care mission and look forward to greeting you at Jersey Shore University Medical Center. The Hackensack Meridian School of Medicine at Seton Hall University is designed to mirror how health care will be delivered in the future. This team-based approach will train students from medicine, nursing, occupational and physical therapy, and other related fields together to improve patient care. Hackensack Meridian Health’s hospitals will serve as the primary clinical teaching sites for Seton Hall and its affiliated graduate education programs.